Flipkart is a leading e-commerce marketplace of India with millions of products offered online. The online store offers mobile phones and accessories. Under the Mobiles category the site has innumerable offers. Browse by brand, or by New Launches, Best Sellers or Special Exchange Offers. Flipkart, the prominent e-commerce portal of India, offers a great variety of products online. The Baby & Kids category offers many things to customers, such as Baby care products, Kids and Baby footwear, Toys, Birthday dresses, Kids watches, Kids sports and much more. You can also shop by age. Flipkart, the prominent e-commerce portal of India, offers a great variety of products online. The Books category holds a great choice of books classified under New Releases, Academic & Professional, Literature & Fiction, Comics & Graphic Novels, Best Sellers, Pre-order and many more. Flipkart is a leading e-commerce marketplace of India with millions of products offered online. Under the Home Improvement Tools category there are innumerable products under different classification. Some of the major ones are Power Tools, Building & Construction, Home Utilities, Hand Tools and many more. 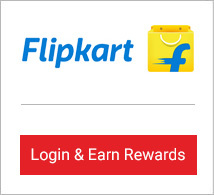 Flipkart is a prominent e-commerce portal of India, offering a great variety of products online. The Furniture category offers a great variety of products under divisions like Bedroom, Living Room, Kitchen & Dining, Study & Home Office, Outdoor & Cafeteria, Kids Rooms, Seating, Storage and others. Flipkart is a leading e-commerce marketplace of India with millions of products offered online. The Men's Bags, Wallets & Belt category offers a variety of brands classified under American Tourister, Puma, Adidas, Wild craft, Sky bags, VIP and many more. Flipkart, the prominent e-commerce portal of India, offers a great variety of products online. The store has great offers in the categories under Gaming. Pre-Order or buy from offers on Video Games, Gaming Consoles, Gaming Headsets, Gaming Mice and Keyboards, Code in The Box and Accessories. Flipkart is a popular e-commerce portal of India, that offers a great variety of products online. Choose from a wide choice of Data Storage media available under the computer accessories and storage listing at the site. Choose from various memory cards, pen drives and external hard disks. 7.5% Rewards on Books & General Merchandise (Personal Care,Baby Care Supply,Automobiles,Toys & School Supplies,Automotive Accessories,Fragrances,Beauty Care,Sports,Large Fitness Equipments,Baby Care,ebooks,Beauty & Personal Care,Books,Musical Instruments,Office Supply,eLearning). 6% Rewards on Home (Home Improvement Tools,Home Furnishing,Home Improvement Tools,Household Supplies,Pet Supplies,Home Decor & Festive Needs,Home & Kitchen Needs,Special), Small Home Appliances, Air Purifiers. 4.5% Rewards on Health & Personal Care Appliances, Large Sports & Fitness Equipments, Bicycles. 3.75% Rewards on Exercise & Food & Nutrition(Non-Grocery). 3% Rewards on Fashion & Lifestyle Categories (Sunglasses,Women Safety,Eyewear,Clothing,Watches,Kid Clothing,Kids Accessories,Kid Footwear,Women Clothing,Bags, Wallets & Belts,Men Footwear,Men Clothing,Women Footwear,Jewellery,Footwear), Electronic Devices & Electronic Accessories (Laptops, Computer Accessories,Small Entertainment,Cameras,Camera & Accessories,Tablets,Wearable Smart Devices,Computer Software,Mobile Accessories,Tablet Accessories,Automation & Robotics,Gaming Consoles & Accessories,Audio,IOT (Google Home Mini & Huami Smart Watches),Apple Macbook Air Laptops,Asus Laptops), Large Appliances ( Television-Exception(Refer-A),Air Conditioners,Microwave Ovens, Refrigerators, Washing Machines). 1.5% Rewards on (D) All Other Mobile Phones (not included in A, B & C above), Storage (External Hard Disks, Memory Cards, Pen Drives). 0.75% Rewards on (A) Asus Zenfone Max Pro M1, Asus Zenfone Max M1, Asus ROG, Asus ZenFone Lite L1, Asus Zenfone 5Z, Asus Max Pro M2 , Asus Max M2, Honor 9N, Honor 7S, Honor 7A, Honor 9 Lite, Honor 10, Honor 9i, Nokia 5.1 Plus, Nokia 6.1 Plus, Samsung S8, Samsung Galaxy S7 Edge, Samsung Galaxy S7, Samsung Galaxy S8, Samsung Galaxy S8 Plus, Samsung Galaxy S9, Samsung Galaxy S9 Plus, POCO F1, Lenovo K8 Plus, Lenovo K9, Lenovo A5, Oppo F9, Moto One Power, Vivo V9 Pro, Redmi Note 5 Pro, Infinix Note 5 Stylus Phones, OPPO K1. 0.075% Rewards on (B) Apple iPhone6_below, Samsung Galaxy On Nxt, Samsung Galaxy On5, Samsung Galaxy On6, Samsung On 8, Samsung On Max , Samsung On Nxt, Samsung On7 Phones. Please note, Rewards will not be paid for (C) Realme 2, Realme 2 Pro, Redmi 4A, Redmi 5A, Redmi 6, Redmi 6(3GB|64GB), Redmi Note 4, Redmi Note 5, Redmi Note 6 Pro, Realme C1 Phones, Redmi Go, Redmi Y2 Phones, Redmi Note 7 Phones.